We receive a lot of questions about ProPresenter and the DataPathX4. Are they compatible? 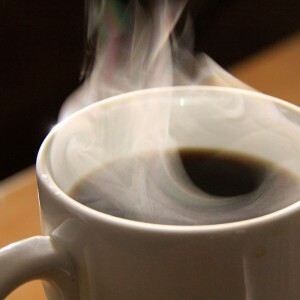 What features do you gain or lose over the TH2G? Lots of questions, but there are some very simple answers. 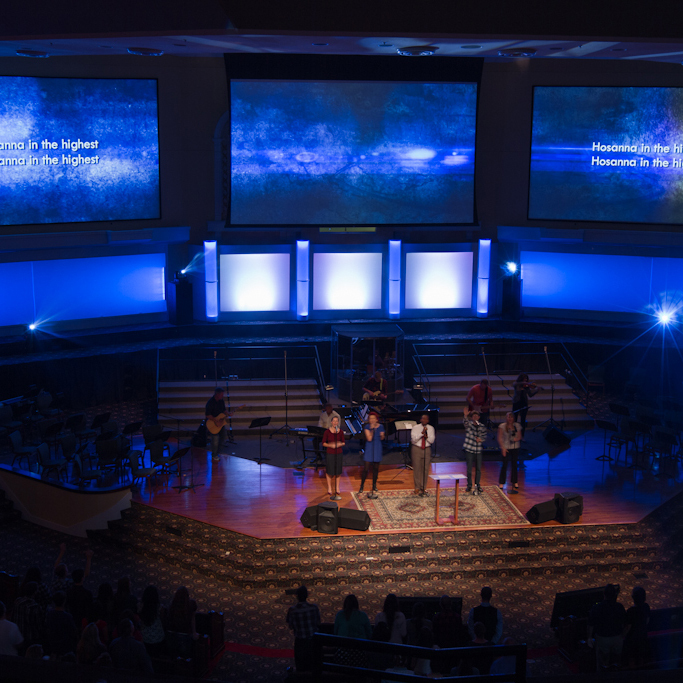 While the TH2G was a development point for the team at Renewed Vision with so many wanting to utilize the equipment for multiscreen applications using their ProPresenter software, it’s not the only option when needing a multiscreen processor. We have discussed at length the benefits and features of the DPX4, but today we want to help you specifically know how to integrate it with your ProPresenter setup. Ok, so the first thing we need to do is setup and configure the DatapathX4. If you have never used a Datapath, there are a couple of resources you need to check out. First is the basic overview of the unit – which is here. 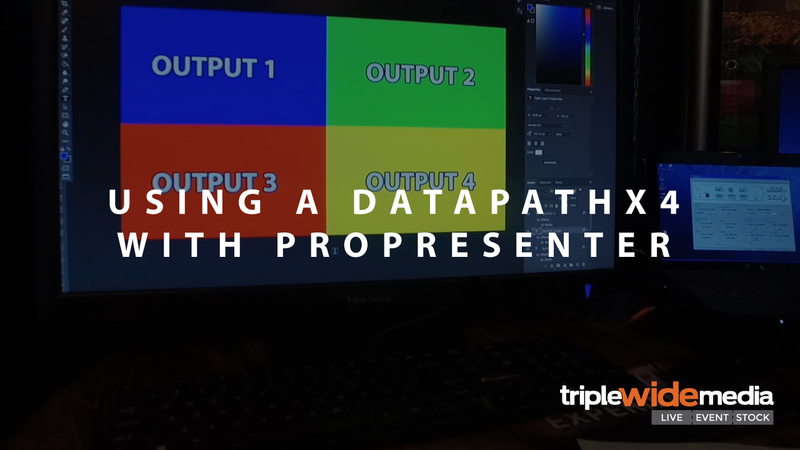 Does the Datapath X4 work with ProPresenter? Yes! 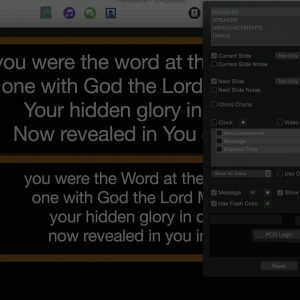 As those who use ProPresenter know, you can enter a custom output resolution and begin creating presentations natively in that resolution. So the only thing in the way of your Datapath and ProPresenter is the configuration of the unit itself (in the videos we referenced above). Do I need the Multiscreen Module Add-On? No, it is not required to purchase the additional ProPresenter module to operate ProPresenter with the Datapath X4. However, it will give you some added functionality. Let’s explore this in greater detail. Lets say you’re running a standard HD Triple Wide setup at 3840×720. You do not need the additional module in order to setup ProPresenter to output graphics / lyrics to that resolution. By treating the canvas as one giant ultra-wide, you simply run ProPresenter the same way you would in a single 1920×1080 screen setup. The downside is you don’t have the ability to place multiple text boxes on multiple “screens” or outputs of your DataPath X4. While ProPresenter will work with the Dual/TripleHead2Go without the Multiscreen module, it would only output a single, wide image. 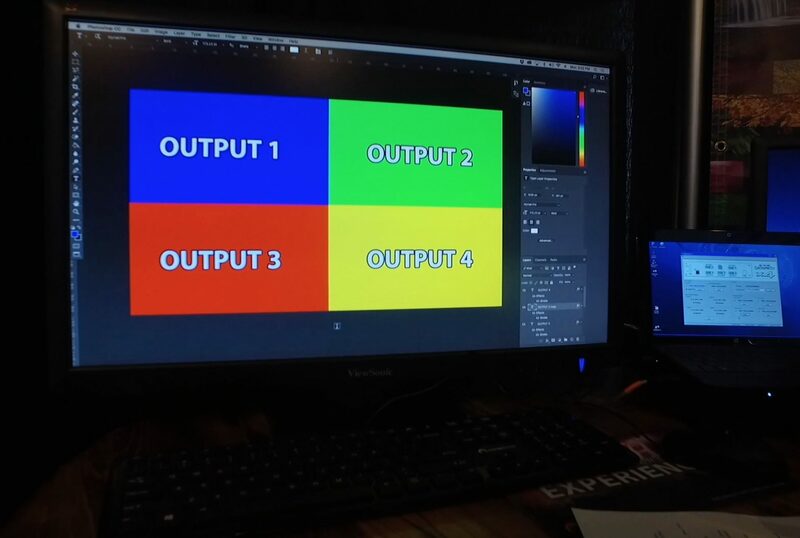 With the MultiScreen module, however, you can now choose what layers of ProPresenter’s output are seen on each of the outputs of the Matrox device*. Lyrics can be placed on any or all of the screens, and background videos can be spanned or displayed individually on each display. 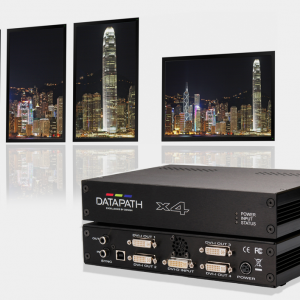 Without the multiscreen module, ProPresenter will see the DataPath as a single ultra-wide output. 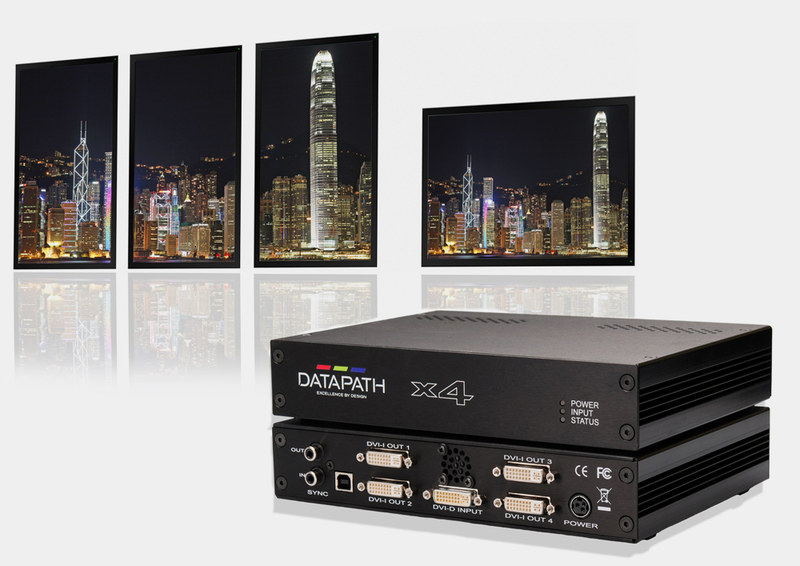 With the multiscreen module, ProPresenter will see the DataPath as an ultra wide screen with 3 different output regions. Are there any limitations to the Multiscreen Module with the DataPath? Yes. First of all, ProPresenter refers to the number of screens as it correlates to the TripleHead2Go and DualHead2Go product lines instead of number of screens. So it’s important to know that if you’re using your DataPath X4 as a 2-output setup, you’ll use the DualHead2Go Mode. if you’re using your DataPath X4 as a 3-outout setup, you’ll use the TripleHead2Go Mode. The downside to the module is that they have not built the functionality to support a 4-wide mode, so that is one limitation of the Multiscreen Module. How do I get a Dual Link DVI input out of my MacBook Pro or iMac that uses USB-C Ports? This is something that causes a lot of headaches for a lot of people. If you do a search online, you’ll find a variety of forums and users who are asking this exact question. Though our Live Events sister company Orange Thread LIVE is currently testing a few options, here is what they recommended as a near-gaurenteed solution. Related Article: What Makes TripleWide Media Different: Credits Make Buying Media Easier! You basically need to get a Thunderbolt or USB-C Dock that will convert to MiniDisplay Port for you. The problem with Apple’s Thunderbolt 3 to Thunderbolt 2 adapter is that it does not convert the MiniDisplay port information, therefore it’s not a video adapter. Dual Link DVI Cable to DataPath X4. It may seem like a lot of adapters, but currently there is no USB-C to Dual Link Active Adapter on the market. I am using ProPresenter on Windows, Will the DataPath work for me? Absolutely! ProPresenter’s functionality for outputting an ultra-wide setup will not limit your ability at all on Window’s machines. I am having trouble getting the DataPath X4 to do a 4-wide Configuration On My Mac, What am I missing? One of the limitations to the Mac and DataPath X4, is that the Mac limits any individual output to a Max width and height to 4095 pixels. This means that you can’t get a 4x 1024×768 output with side by side screens. 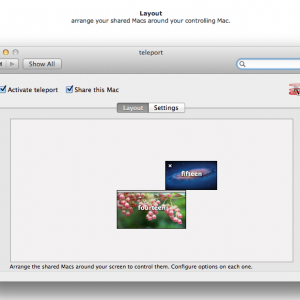 In order to get a 4-wide configuration out of a Mac would require a 2×2 grid.